Doing before and after shots, but with the after shot first! Both photos were taken from the same spot at the front of the garage, almost exactly 24 hours apart. Amazing how much more room there is now, and all I had to do was break my back! Unless you're some kind of miracle family with a Star Trek transporter beam and/or access to subspace, it's the same routine whenever people move. Boxes get packed and shipped to the new place, some of which get unpacked when you arrive, but most don't. Amiright? 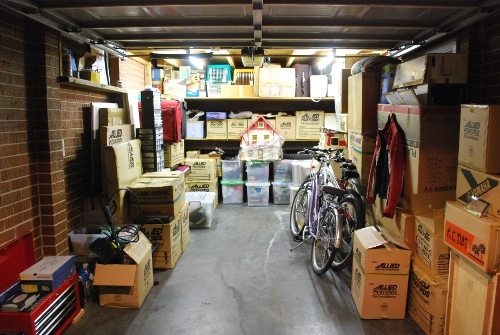 When we moved back to Australia from Singapore last year, most of the boxes got put in the garage. Now that my exams are over, I decided to SHOCK HORROR start unpacking them. It also gave me a chance to throw away pointless junk we don't need, go through some of my late mum's posessions that I didn't have the strength to go through before, and storage stuff that didn't get unpacked was instead labelled and an inventory created. There are still lots of boxes down there, but I know what's in all of them, and related materials are all located near each other rather than just strewn everywhere! It doesn't look like it from the photos, but I unpacked 39 more boxes in total, threw out almost half of it, and reorganised the remainder! 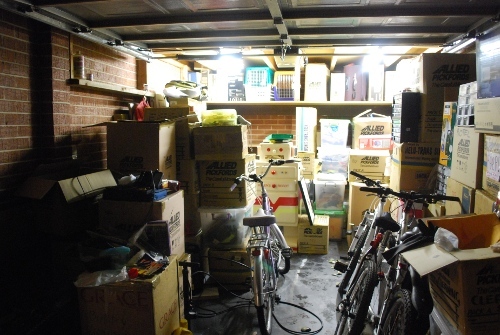 Precious items like photo albums were placed in sealed plastic containers so we wouldn't lose them as we did so many in the Great Schade Family Brisbane Garage Flood of 1995. All we need now are some more bookshelves upstairs and we'll finally have a home here instead of a giant storage locker. I've spent nearly my whole life surrounded by boxes, and I would very much like to rid myself of them! Now if you'd excuse me, I unpacked and disposed of several boxes of leaky batteries, tins of paint and other fun corrosive materials and my hands are still itchy. Should have worn gloves. It also raises the question why such material was even packed, but that's a question I'll have to raise with the other family members. Older post → Why do Aussie banks need a wakeup call! ?